So I’m starting this post out with a shameless plug for my new Facebook digs along with an even more shameless attempt at bribing you to give me a “like.” This attempt comes in the form of (what else?) A GIVEAWAY. Required blogging disclaimer: This particular giveaway is completely of my own doing. I wasn’t approached by a sponsor, and one of the prizes is my own product. In order to be entered for the drawing, all that you need to do is give me a “thumbs-up” or a “like” on my Peanut Butter and Julie FB page. As of right now, your chances of winning are absolutely stellar. Since my mom isn’t on Facebook either, I have a fan count of 1. And yes, that 1 fan is yours truly. It’s kind of lonely over there. Come on over and say hi. 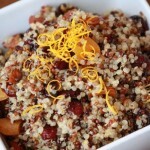 Now, for the delicious deets: In December, I won second place in a Lindt chocolate recipe contest. My prize package included a gift card to the Lindt on-line store, with which I purchased a few copies of their cookbook, Lindt Chocolate Passion. One for me, and one for you! From Stracciatella Mousse to Orange Crepe Souffle with Chocolate Sauce, this book is a chocoholic’s dream, and it would be perfect inspiration for your Valentine’s Day dessert. It also contains some helpful tutorials on tempering, ganache, and types of chocolate. I think that I gained a few pounds just looking at the photos. One lucky PB&J Facebook fan will win a copy of this cookbook. The official drawing will take place on Wednesday, January 25, which will give me plenty of time to get the prizes to you well ahead of Valentine’s Day. Good luck, and thanks! Speaking of ways to get an early morning chocolate fix……how about a way to get an early morning DOUBLE chocolate fix? I thought that might catch your attention. As I mentioned above, these muffins were inspired by my Decadent Raspberry Truffle Granola, which was originally inspired by my mom (her favorite flavor combination has always been chocolate and raspberry.) She has a recurring shipment of the granola sent to her to replenish her stash, so I don’t feel so badly about her not having a Facebook page. Mom, I know that you are almost due for your next shipment. I’m on it. I originally attempted to create a lower-fat version of these muffins, using fat-free sour cream and applesauce instead of the oil. I could tell right away when the muffins emerged from the oven that the recipe would be a do-over. They just looked so sad and lifeless as they shrunk back into their paper liners. The taste test, while O.K., wasn’t great and the texture was dry. Sometimes it’s just not worth the flavor sacrifice to use lower-fat ingredients. This is when the “everything in moderation” rule really comes into play. For Round 2 I decided to use full-fat sour cream and a little bit of oil along with low-fat buttermilk to keep the muffins moist. I also used whole wheat flour as an alternative way to make the muffins more healthy. Chopped chocolate adds an second chocolate punch, and tart fresh raspberries were folded into the batter just prior to baking. These muffins came out of the oven looking shiny and happy. 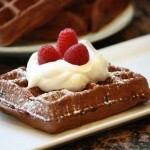 Raspberries peeked out from the tops, and an enticing chocolate aroma wafted throughout the kitchen. My recipe made 18 generously sized muffins, but you could also make 40-50 mini muffins for those mini afternoon or post-dinner chocolate cravings. Depending on how large your raspberries are, you might not need to halve them. The ones that I used were particularly large, so it made sense to cut them in half. I would not recommend substituting frozen raspberries in this recipe, as they will likely result in a soggier muffin. A good substitute for fresh raspberries would be chopped pitted fresh cherries. Preheat the oven to 350F degrees. Line two muffin tins with paper liners or spray the cups with nonstick baking spray. In a large bowl, whisk together the whole wheat flour, cocoa powder, baking powder, baking soda, espresso powder, and salt. In the bowl of an electric mixer fitted with the paddle attachment, beat both sugars with the oil on medium speed until well combined. Add the eggs, one at a time, beating well after each addition. Beat in the vanilla extract. Using an ice cream scoop or a spoon, divide the batter among the prepared muffin cups, filling each about 2/3 full. Bake for 17-19 minutes, until the tops of the muffins spring back when lightly touched and a toothpick inserted into the center of a muffin emerges clean. Allow the muffins to rest in the pans for 5 minutes, then transfer them to a wire rack to cool completely. I liked your FB page… I’m sure it will be really populated soon! Thanks, Jill! My husband is more than happy to look over my shoulder while I am on Facebook though. Off the grid — thats great. These muffins look so good! It reminds me of my wedding cake, which was a chocolate cake with raspberry filling and a vanilla butter cream frosting. This would be so perfect for our anniversary or valentines day! I think Saturday while he is at work, I ‘ll practice making them,so there perfect! Thanks Julie! Oh one last question, I don’t have sour cream, do you think greek yogurt would work ok? Thanks so much, Jennifer! Your wedding cake sounds so decadent! Yes — I think that Greek yogurt would be a good alternative ingredient because it is so rich, but again, I wouldnt use the fat-free version. The full fat or even 2% would better. Hope that you enjoy them! Best of luck, Julie, with your FB page. omg, sign me up!!! and I think that Eric “I’m not on Facebook” Hession is a distant relative of Kate “I’m not on Facebook” Lufkin! 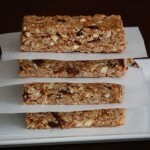 I just liked your Facebook page Those muffins look delish – wish I had one right now!! Thanks for the giveaway and Happy Friday! Before long you will have 1000’s of fans, Julie! Your muffins look and sound delish! These muffins sound amazing! I’m totally making these for my best friend for Valentine’s Day. She LOVES the raspberry/chocolate flavor combo. And I totally understand about FB. It took me forever to make a FB page for my blog too. Thank you so much, Merry! And thank you for your kind words on FB. Your talent and creativity in the kitchen always serves as inspiration to me. Cant wait to see what you win next! Thank you, Shannon! I hope that your friend enjoys these. Regarding FB pages — its nice to know that Im not the only one! I’ve been a fan of yours for a while now. And I am definitely a fan of these muffins, I LOVE anything that has to do with chocolate and raspberry together. Excited to see all that is to come on your Facebook page!!! I was a fan of your FB page before I saw your post here :o) Does that get me an extra vote? hehe. 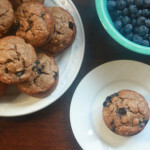 Your muffins look delish and I am going to definitely try them – and maybe even share them at work!